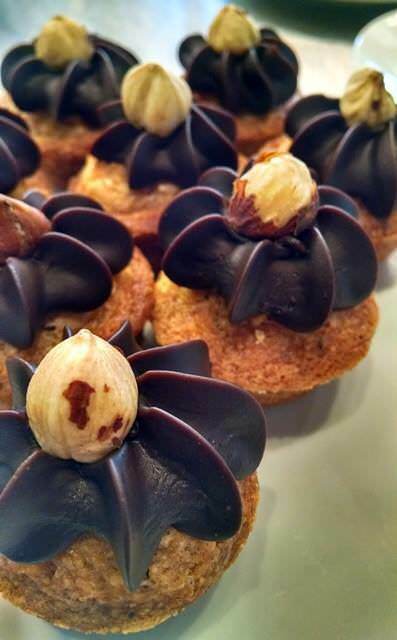 What are the best bakeries in Portland? Judging by the sheer number of comments in the poll, many of you feel quite strongly about pastries. Little T American Baker climbs a step to the top spot. It’s been on the chart since 2011. Other notable changes – Petite Provence fell off of the chart, dropping from number 2 to 10. Ken’s and Bakeshop leapfrogged St. Honoré and Grand Central. Lauretta Jean’s Pies makes its first appearance at fifth place. I find it interesting that the number of locations for each business doesn’t seem to make as much difference here as it does in other categories. The top three choices only have one store (though Ken’s has pastries at Trifecta and in the morning at Pine Street Market). 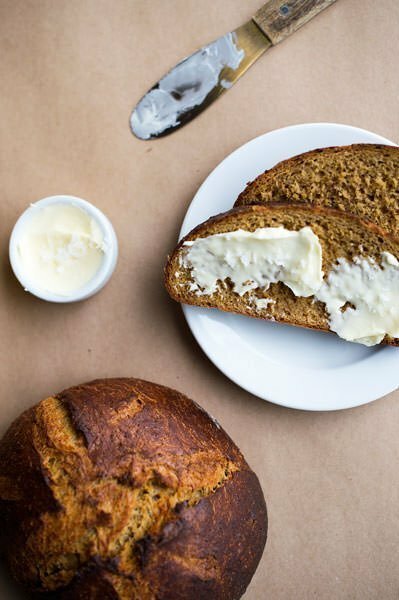 You’ll find more information on all of the winners on our updated Guide to Portland’s Best Bakeries, and our 2017 survey winners for Portland’s Best Bread here. Over 1000 of you voted. This café/bakery opened in June 2008 and has gained a legion of fans for their French baguette, other breads, and pastries. Sometimes I get up early on Sunday morning and drive over just to beat the crowds. I’ve been known to eat an entire mini-baguette in a sitting, and their toffee cookies call to me like a siren on the rocks. Look for me, shipwrecked in the corner. Ken Forkish opened Ken’s Artisan Bakery in 2001 to accolades from Travel + Leisure, The Los Angeles Times and more. Known mostly for their artisan breads, Ken’s also makes a variety of pastries. 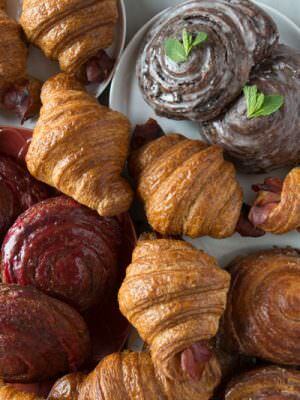 Expect French traditional selections like croissants, cannelés, brightly colored macarons, and seasonal fruit tarts. American-style baked goods include pound cakes, Valrhona chocolate chip cookies, and flaky, sweet, orange Morning Buns. This café is a popular spot on bustling NW 21st. Ken’s has recently started offering pastries along with his pizza at Trifecta Annex in Pine Street Market, SW/Downtown. In 2012, Ken wrote Flour Water Salt Yeast: The Fundamentals of Artisan Bread and Pizza for which he won a James Beard Foundation award. It remains the Amazon #1 in the bread baking category. Here is an interview we did with Ken. 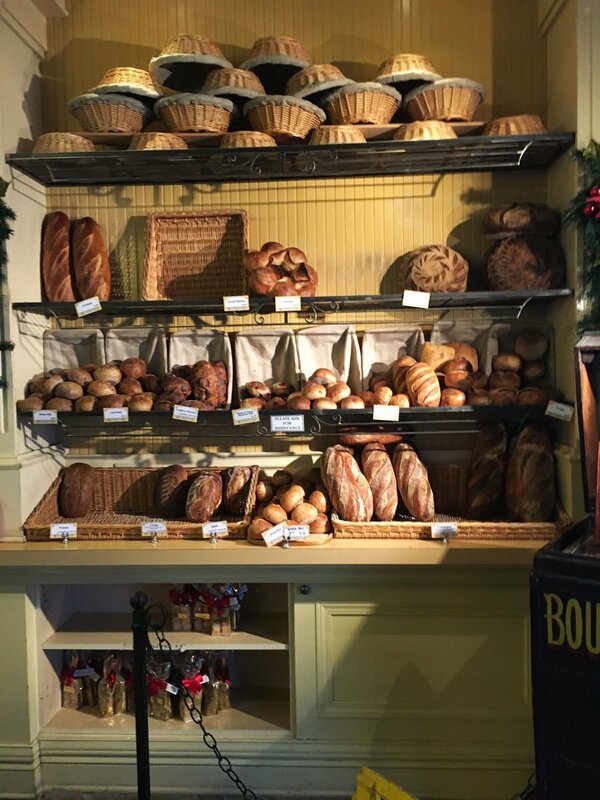 Bakeshop is owned by Kim Boyce, of the James Beard Award winning cookbook, Good to the Grain: Baking with Whole-Grain Flours. She worked for years with Nancy Silverton, founder of Pizzeria Mozza, Campanile and La Brea Bakery. 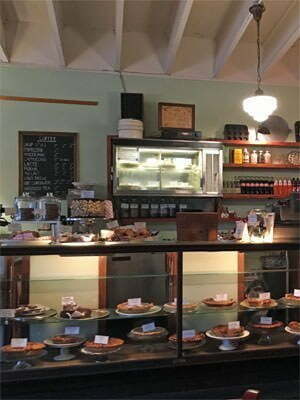 Bakeshop has a large following for seasonal pastries and specialty items which you’ll find in many coffee houses around town, but I think the best are at their little shop – just a few stools, but is well worth the visit to get their treats still warm from the oven. If you ever get a chance to try their quiche, don’t hesitate. You’ll find an interview with owners Kim and Thomas Boyce here. 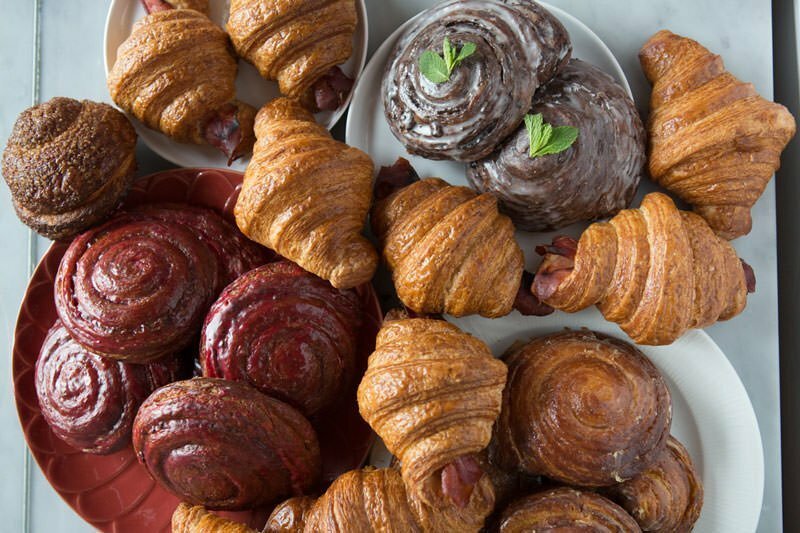 A variety of croissants, brioche and other classic French sweet breads share space with tarts, custard flavored Canelet, and Chouquettes – sugary, puffy baked pastry balls made from buttery pate á choux dough. 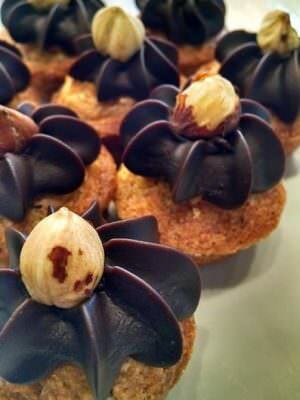 Desserts include French classics such as Eclairs, Napoleons, fruit and pastry cream filled Mille Fleurs, and the like. A great selection of sandwiches and salads are also available, and the large open spaces are quite comfortable places to sit and catch up with friends. 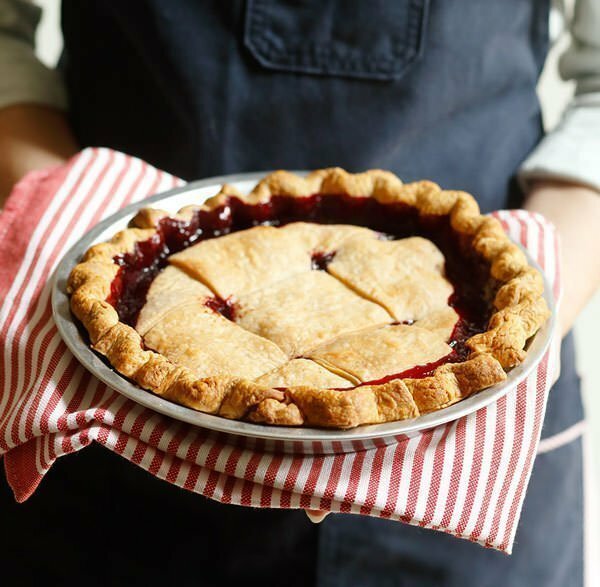 When you specialize in pie, you’d better be Blue Ribbon State Fair worthy. Loretta Jean’s pulls through: flaky crusts and tender, never too cloying sweet fillings. 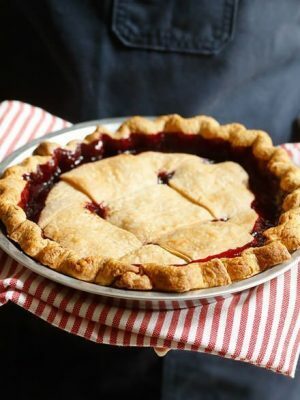 Pies are often seasonal: Strawberry in late spring, Blackberry in summer, S’mores Pie in winter. Other pies rotate on the menu from a textbook traditional pecan and coconut cream, to a fancy pear strudel and salted honey pie. The Division Street location also acts as a breakfast-lunch spot with a tight menu of biscuits such as biscuits Benedict or biscuit egg sandwiches, while lunch offers homemade soups, salads and sandwiches. The atmosphere is a flashback to cosy cafés, comfortable alone or with a friend. Don’t miss the pies in the cooler behind the register. Grand Central Bakery opened their first Portland branch in 1993. Since then, they have slowly expanded to seven branches, all featuring local and sustainable ingredients. They have a wide selection of breads: sesame currant loaf, como, ciabatta, levain, etc. You’ll also find a large number of pastries. They draw a large lunch crowd with a selection of made to order sandwiches and salads. Of course you can get a variety of espresso drinks too. Also popular are their frozen U-Bake products – pie dough, pizza dough, puff pastry and pies. 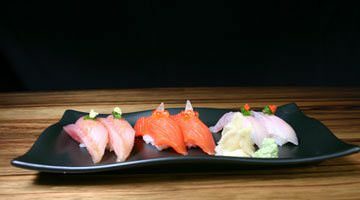 7 locations in the greater Portland area. See this link for a map. Our favorites: Little T, Pearl Bakery, Roman Candle (didn’t even make the top 10). 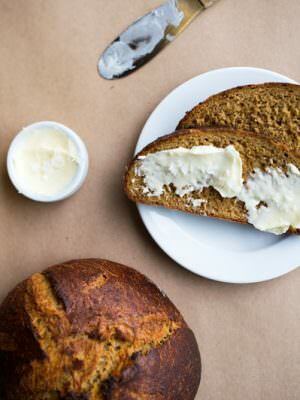 No other bakeries had a significant margin to make this list. Category: Best of Portland 2017. Related posts about BakeShop, Grand Central Bakery, Ken's Artisan Bakery, Lauretta Jean's Pies, Little T American Bakery, St. Honoré Boulangerie.